Who will deal with your claim? The amount of whiplash compensation you are likely to receive will be dependent on a number of factors. The Judicial Studies Board provides guidelines to personal injury solicitors, courts and insurers for specific injuries, but the amount of award will also be affected by actual losses (e.g. loss of income) following an injury. What is the average payout for whiplash injury? Average payouts for whiplash vary depending on the severity of injury. Minor whiplash is payable with sums of between several hundred pounds and up to £1,860. More serious whiplash injuries can receive in excess of £10,000. Every whiplash claim is different so it is not always helpful to think in terms of averages. The amount of money you get for whiplash depends on the severity of your injury and whether you might be deemed partially liable for your injury. Milder injuries typically receive £2,000 £3,000 compensation and more severe injuries as much as £30,000. If you have suffered severe neck/spinal injury, or additional injuries, such as chest and back damage or broken bones, each of these injuries will be assessed using specific guidelines. However, further injuries will generally mean greater compensation amounts, particularly if pain and suffering continues after any soft tissue damage has healed. 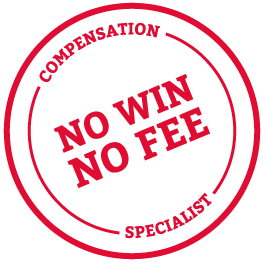 To chat with an advisor or to fill in an online claim form, please use the green buttons located at the bottom right-hand side of this page and our expert compensation lawyers will help get your whiplash injury claim started.